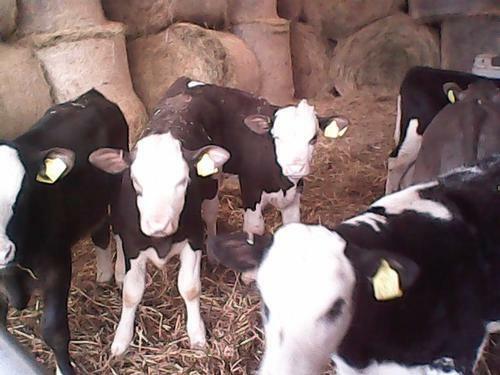 This is a working beef cattle farm and in spring the new calves arrive adding to the beauty of this green valley. You may take a guided walk in our 180 acres view the roman camp and the views of the Sugarloaf and Raglan Castle you can see for miles on a clear day. See wild ducks, woodpeckers, kingfisher, firecrest and more small native birds. A labour of love in between running the farm and tending the animals it has took 8 years to achieve the six properties we now have available for you. 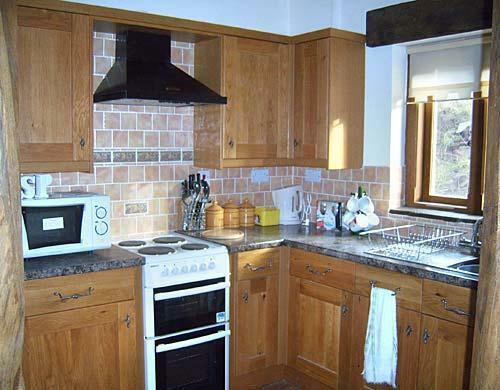 All the woodwork in the properties has been restored or replaced and has been hand carved and purpose built. 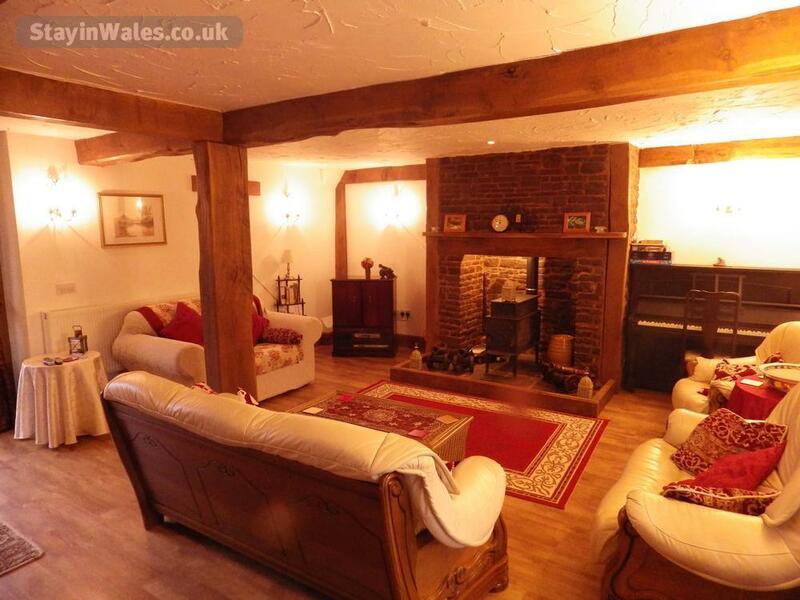 Some of the oak was actually grown on the farm for hundreds of years, given that the buildings date from 11th and 15th century everything has been done to keep it as original as possible. 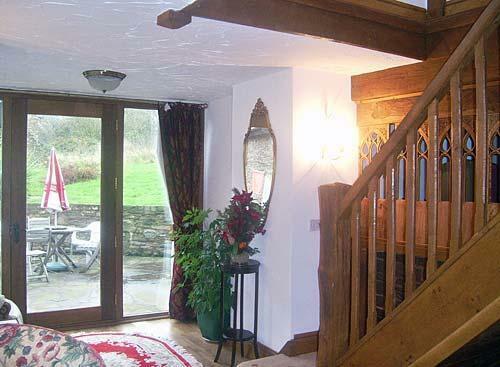 Exposed beams in all rooms are all original and vestry gates, millstones and iron wheels have been placed in for extra character. 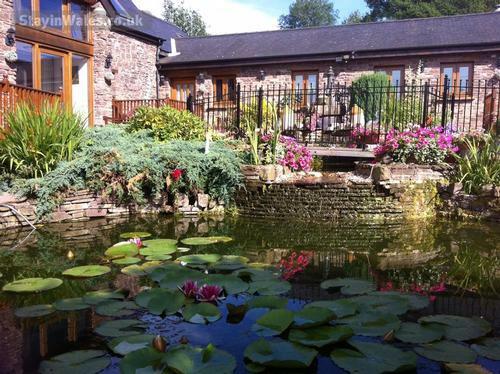 Each property has its own decking and garden furniture overlooking the fishponds and courtyard. 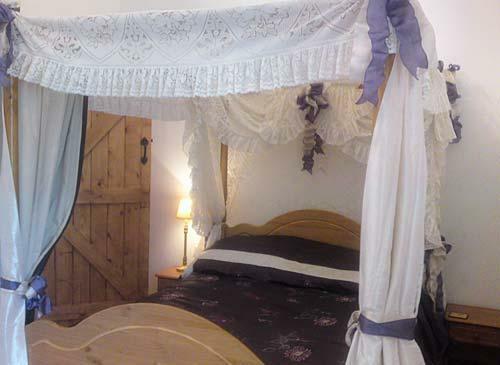 Oak Cottage, the largest of the four, has private rear patio garden and an upstairs garden room overlooking the courtyard for quiet reading rowan and cedar over the lake were opened in 2009 to the same standards with their own grounds and a valley view, private parking and wheelchair access. Children welcome under good parental supervision, cots and high chair available. Accessibility is good with private car parking, flat entrances and doorways which are wide enough for less able visitors. We also have some mobility access ramps, toilet access shower stools etc. Birch, Beech and Rowan cottages have no stairs. 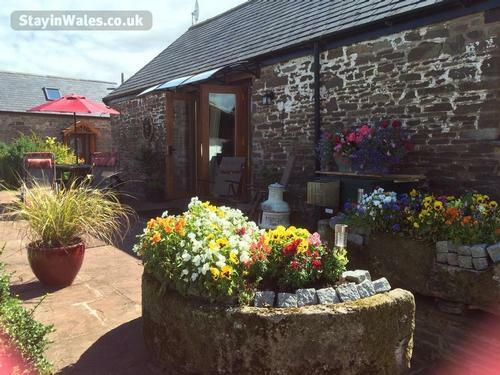 Private car parks and large private garden picnic area. Satellite tv, dvd, fully equipped kitchens including all linen and laundry facilities bed linen and towels are provided and changed weekly. 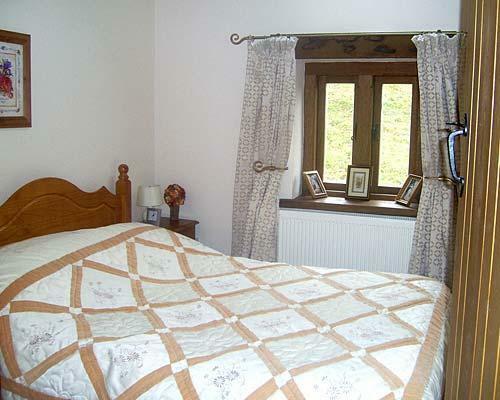 Oak Cottage - One en-suite family bedroom ie 1 double bed 1 single bed. One double bedroom. 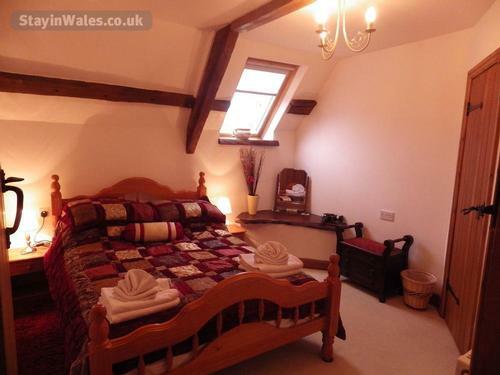 Single/twin bedroom one. Second single/twin bedroom. 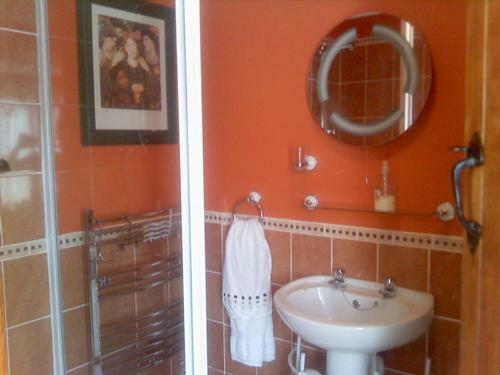 Additional bathroom with separate shower. 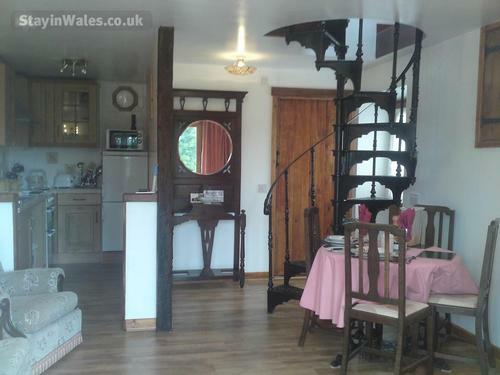 Ample living space persons and party space for 20/30 number of stairs 12. 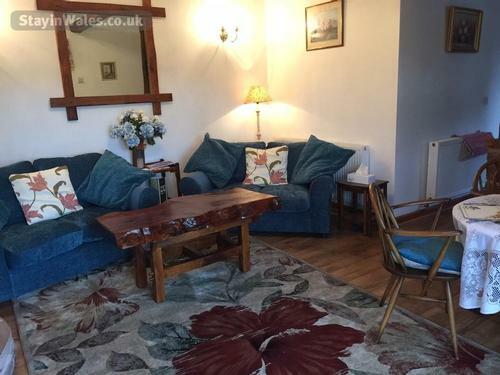 Large lounge ,separate kitchen and dining area all very spacious Large hallway with four seater peanut wood seating with cushions for patio or decking area in summer. Ash Cottage - One double bedroom and triple bedroom and one mezanine single room .Bathroom up four steps futon bed available for landing space or in lounge area. One bathroom with separate shower and bath. ideal for families, stair gates balcony concealed at rear ideal for play or pleasure. 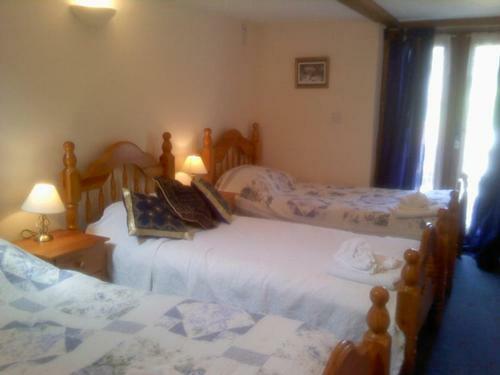 Beech Cottage - one family room and one double bedrooms. 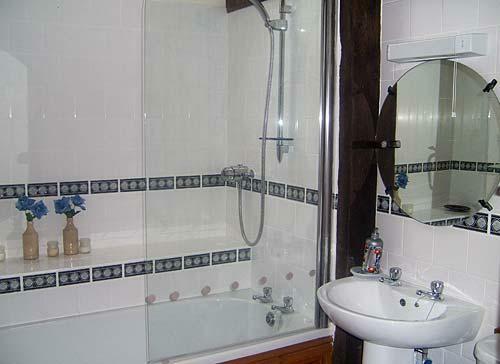 One shower room. 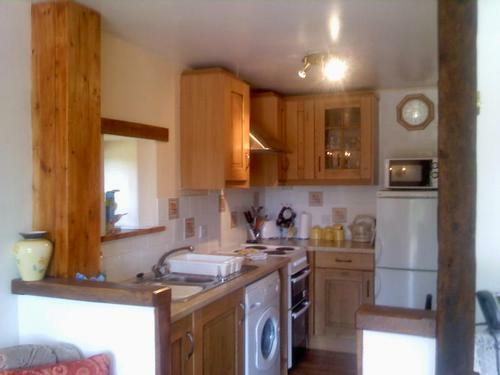 All ground floor easy access lounge /dining area separate kitchen. 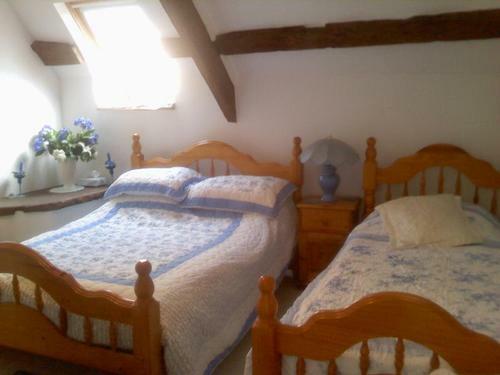 Birch Cottage - two double bedrooms. NO STAIRS. 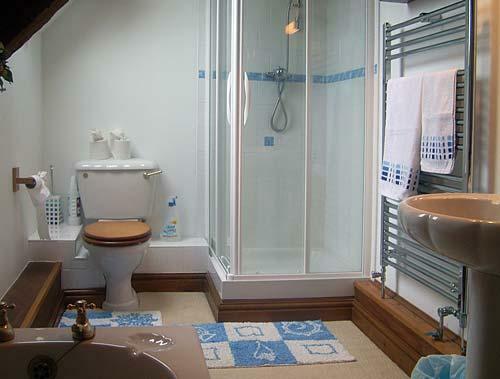 Shower over bath in spacious bathroom. all ground floor easy access open plan. rear parking and only 20 feet from main car park. wheelchair ramps and wide end private balcony. Rowan Cottage has four poster en-suite and twin en-suite, large living area patios of both entrances over looking the lake and valley, easy access for mobility impaired guests. Private parking. Cedar Cottage is a cosy dwelling that used to be the milking parlour, it now hosts one twin room and one double, upstairs cloakroom, down the Victorian spiral staircase you enter a quaint sitting room with downstairs shower room ideal for walkers, and again with excellent views of the lake and valley from private patio and private parking facilities. A breakfast hamper is there for you complimentary on arrival. Other catering coffee mornings before departures of groups. Evening meals and buffets also available by arrangement. Full list of local pubs and restaurants and other amenities and menus for same provided within the cottage info sheet. There are eleven pubs and several restaurants and takeaways in the town of Usk. to aid your self catering break you may have your vitals delivered by Tesco or other local supermarket to save you time and I will check it in and store it away for you by prior arrangement. fresh flowers and birthday extras on request. Follow the country walk signs with streams and gentle rolling fields, or visit our local historic churches of St John and St Jerome and the ancient screen, which are right next door to our to the land. 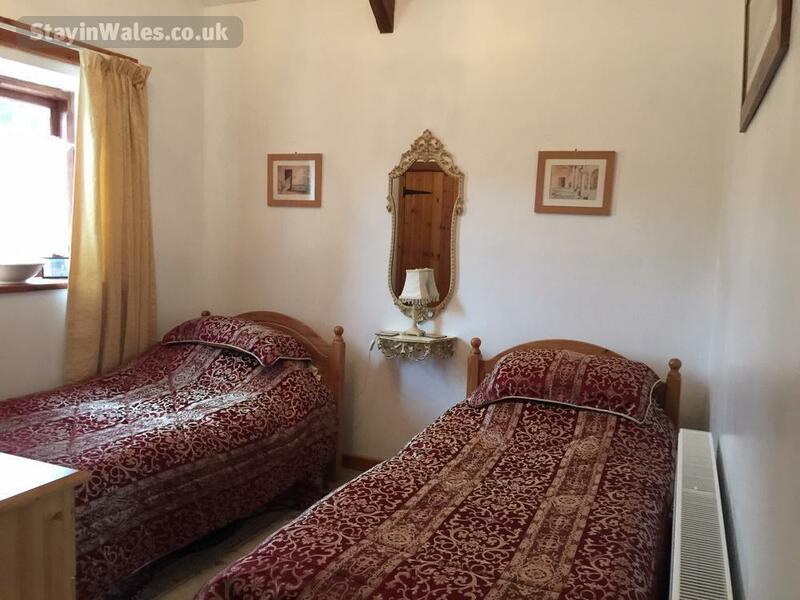 A few minutes from famous Roman town of Usk and Caerleon, a short drive will take you to Chepstow, Tintern Abbey and the Wye valley, Monmouth, Newport and Cardiff. We now have available by appointment balloon flights and minibus mystery trips around the area. Or have a free fun ride farm safari weather and animals permitting. For golf enthusiasts we are only 10 miles from the Celtic Manor Resort, there are approximately 10 golf courses within 15 miles, including the Celtic Manor, home to the 2010 Ryder Cup and Welsh open. 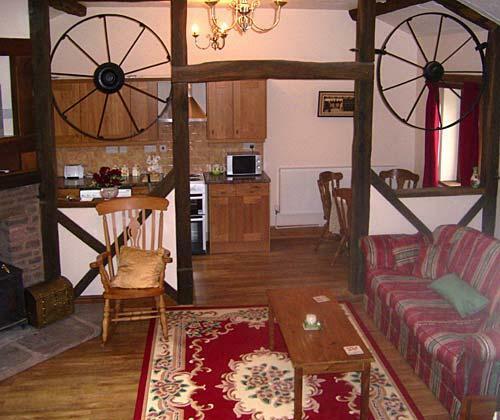 Wind surfing, horse riding, heritage and history trails and more are within close proximity. Usk showground is just one mile down the road for the country game fair and the Crufts qualify dog shows. We are close to the Monmouthshire Equestrian Centre and take childrens' ponies by arrangement. For racing enthusiasts Chepstow race course is 8 miles away and Cheltenham about 45 miles. 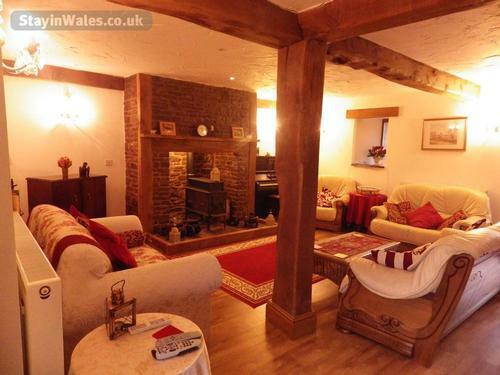 Usk is just 2 miles. down the road, The Three Salmons and Glen yr Afon have many large weddings, and also the castle at Usk. Chepstow Race Course is 6 miles. We are lucky to be situated so near to a wealth of history and all sorts of trials dog shows and game fairs, at Usk Showground. The M4 corridor opens up to the rest of wales and the west. The seaside resorts of Barry and Porthcawl are an hour away. Cardiff bay has many attractions and venues for dining and entertainment, not to mention rugby internationals, theatre and fine art. Cheltenham racecourse about 40 miles. The national diving centre Chepstow, pony trekking at Brecon. The Velodrome at Newport for cyclists. Golf courses the Celtic Manor Resort. Country walking eg the Usk Valley Walk. Wind surfing and watersports at the Llandegvedd and more. Cardiff Bay is less than half an hour away with so much to see and do. 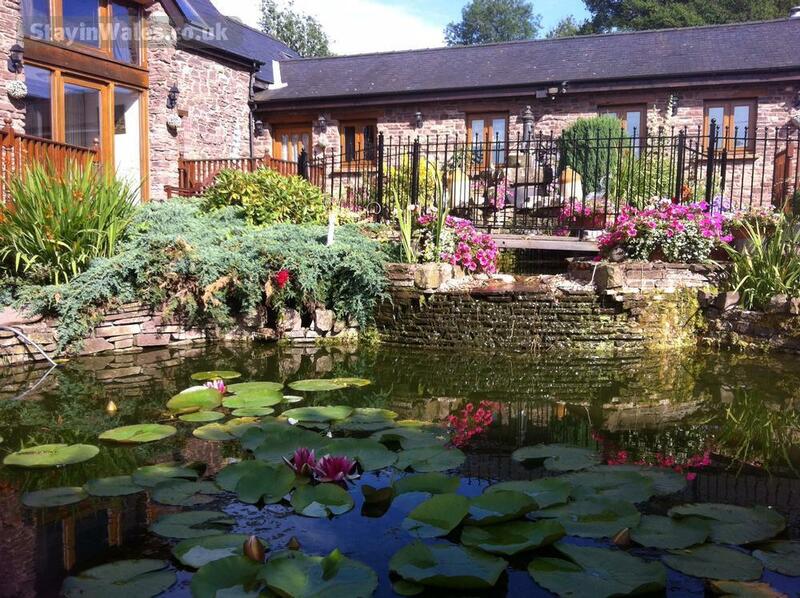 There are leisure centres at Newport and Pontypool, and hotel spas at the Celtic Manor and Cwrt Bleddyn hotels. Also the welsh mining heritage centre at Big Pit Blaenavon is only about 40 minutes drive where you may take the children underground to experience first hand what it was like. Deer and wild game drives arranged with licenced gilet. Business facilities - If you are here on business or just cannot leave your work in the office, then relax, free wireless broadband is available in all rooms and the gardens. 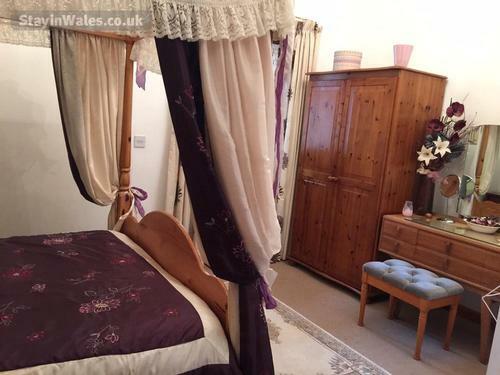 For you on arrival you will have no worries as a welcome hamper, will await you, this is a gesture from ourselves and includes everything you need for your first breakfast in wales plus ample tea coffee, sugar, milk etc. Any special dietary request may also await you by arrangement. Ideal situation for surprise parties as vehicles can be concealed. We welcome dogs with careful owners by arrangement. 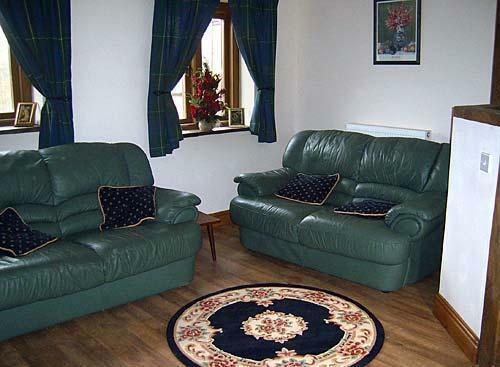 Cottages may be booked in multiples for larger groups by arrangement. 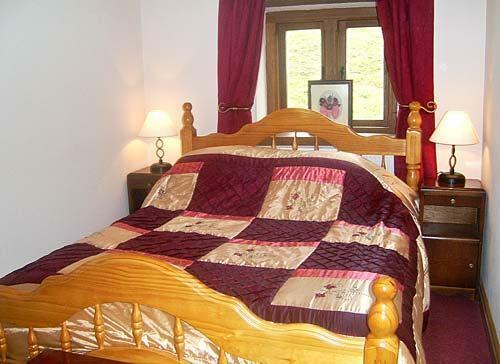 Single night stays and short breaks subject to availability. Commuters monday to thursday with regular rates. If making an enquiry please give details of number of beds required as well as number of persons eg: singles, doubles, or twin. 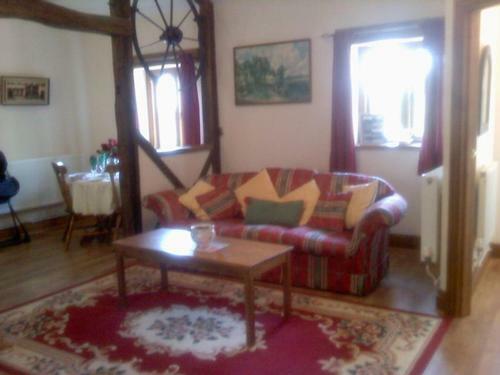 This helps us to allocate the cottage and aids a quick quote for large groups. All linens are included, as are all services. Wifi is free throughout, private voip answerphone service is available. A deposit is required by cheque in advance of arrival. The balance is due on arrival or in advance, depending on party size. A liability bond is required for large parties. This will be returned in full provided there is no damage.